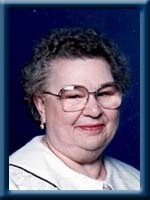 CUNNINGHAM, Stella M., 87, of Liverpool, passed away peacefully in Queens Manor, Liverpool on Monday, February 11, 2013. Born in Liverpool, she was a daughter of the late Irving and Laura (Townsend) Oickle. Stella was member of the Seniors Club in Liverpool as well as a life member of the Mersey Branch, # 38, Royal Canadian Legion Auxiliary, Liverpool and Queens Ground Search and Rescue Auxiliary. She was an avid bingo player and card player. She enjoyed spending time with her family especially her grandchildren and great-grandchildren. She is survived by her daughter Deanna (Ralph) Grezaud of Liverpool; her sons Brian (Lillian) of Bridgewater and David (Pollie) of Halifax. Her grandchildren Alexis, Ford and Ricky and her great-grandchildren Madison, Tatum and Connor. Her sisters Syrvella Aulenback of Port Mouton; Phyllis Rhodenizer of Point Aubariel, Ont. She was predeceased by her husband Leland; sisters Barbara, Pearl, Sadie, Gladys and Alberta. Her brothers George, Harvey, Willis and Cecil. Deanna, Brian, David & families. So sorry to hear of your mom’s passing. My heart goes out to you all. God Bless. deanna,ralph and family,so sorry to hear about your mother.she was a very sweet lady and she was a special lady especially when you talk to her. she always was friendly to people she knew and met on the streets. Dear Deanna and family . Brian & Family – We were sorry ti hear of your Mother’s passing. Our thoughts and prayers are with you during these difficult times. We were so sorry to hear of Stella’s passing. She was a very kind person and always had a smile for everyone. Thinking of you……. So sorry for your loss. I have many great memories that I will hold dear. She was a wonderful lady who will be missed. Deanna and Family…so sorry to hear of your Mother”s passing..God Bless you all!!!!! Lillian and Brian…so very sorry to hear of your loss. My thoughts are with you at this time difficult time. We were so sorry to hear of Stella’s passing. She was kind a kind sole and always had a smile for everyone. Thinking of you…….. Sorry to hear of the passing of Aunt Stella.I will keep you all in my prayers. go through this difficult time. Deanna and family, we are so sorry to hear of your mom’s passing ,Our heartfelt condolences go out to you all. Mike & Sandy. I am very sorry to hear about Stella She was a wonderful person.My thoughts are with the family. Sorry to hear of the passing of Aunt Stella. Our Love and Prayers go out to the Family. Deanna, Brian & David: We were very saddened to hear of your mother’s passing and send our sympathy at this most difficult time. We had such a lovely time when your mother and Aunt Phyllis were here for a visit just last year. Take care and find comfort in your many happy memories of a very special mother. Deanna and family,so sorry to hear of stellas passing,a very nice lady and very pleasant to be around. Our thoughts and prayers are with you at this sad time. I’m very sorry to hear about the loss of your Mom. Please know that you are in our thoughts & prayers. Take care of each other. So sorry to hear of your MOM’s passing. Cherish your memories of her. She will be miss by all those that loved her. My thoughts & prayers are with you all. GOD bless. Dear Deanna, Ralph and family…..So sorry to hear of Stella’s passing. She was a kind soul and always had a smile. She will be sadly missed and fondly remembered by all that knew her. Deanna and family….So sorry to read of your Mom’s passing. She was a fine lady, like your Dad, who always greeted me with a warm smile. Treasure your memories and may you find comfort in knowing others share in your loss and are thinking of you in your time of need. Deanna,David, Brian and famies we are sorry to hear of your loss,please know that many are thinking of you at this sad time. We are so saddened to hear Aunt Stella had passed. She was truly a sweet, wonderful person. I remember her and Uncle Leland always being nearby in my childhood. I have such wonderful memories of them, and I cherish each one. Our thoughts and prayers are with you at this sad time. Hugs to all of you. So sorry to hear about your Mom. My thoughts are with you at this sad time. Hugs to all of you. My sincere condolences. David, Deanna and Brian….So very sorry to hear of your Mom’s passing. She was a wonderful lady and gave us all many hours of joy…. So sorry to her of Stella’s passing. She will be sadly missed. We will keep you all in our thoughts and prayers. So sorry to read this about your mom. Didn’t know when I was talking to you yesterday. My thoughts are with you.